Are you still using old-school metal or wood pallets? Throughout your supply chain, plants and distribution centers, plastic pallets are proven to reduce overall costs, damage and injury while also helping you to create a more sustainable work environment through reusable pallets. When you choose PSI for material handling plastic pallets, there’s even more. 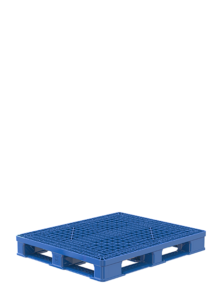 At PSI, we offer stackable, custom plastic pallets that are durable, protective and also hygienic. 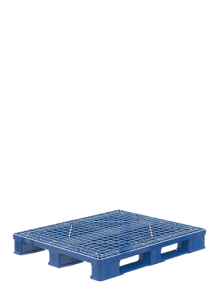 The hygienic nature of our plastic shipping pallets means they meet the highest standards of cleanliness and reliability, and also that companies and organizations that require hygienic solutions can find them. These organizations might include those operating in the food and beverage or pharmaceutical industries. 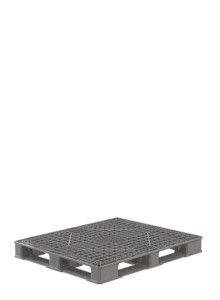 We are the only manufacturer of material handling plastic pallets that offer non-toxic, FM-approved solutions. 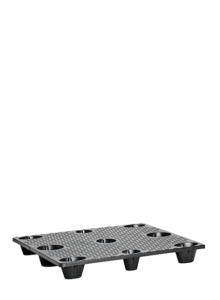 When you choose PSI for rackable plastic pallets, you know you’re getting products that are safer and better for the environment than other options. We often work with clients who are most interested in a comprehensive solution that offers a range of benefits, and that’s what we’ve strived to create. Our material handling plastic pallets are the safe and secure option for your products and your team members, and they help reduce your costs and your impact on the environment. That last part is particularly important to us. At PSI, we place an emphasis on sustainability and helping you meet your sustainability objectives. 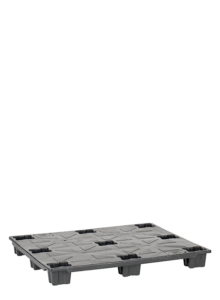 That’s why our stackable plastic pallets are fully recyclable. We also offer a buyback program when your pallet’s usable life is up. These initiatives help you maximize your efficiency, reduce your impact on the planet — and ultimately save money. 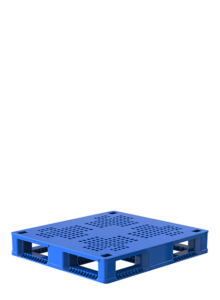 In addition to our wide selection of plastic shipping pallets with different capabilities and specifications, we also offer custom design and product solutions. We work with companies and organizations across a range of industries, and each of our clients comes to us with unique needs. We offer our custom design and production services to ensure we can meet the unique needs of any client, no matter the industry. Even if we’ve never worked in your specific industry, we’re adept at crafting solutions that can meet your specifications. Our pallets come in a variety of sizes, from standard (40″ x 48″, 100 x 120 cm metric) to custom sizes requested by our customers. Please contact us to find the appropriate size for your company’s application. PSI is a world leader in the manufacturing of bottled water racks and packaging solutions such as custom plastic pallets. 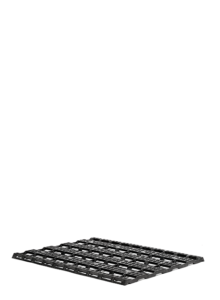 When you want to address your bottom and line and your sustainability through the latest innovations in transport, distribution and packaging, we are your source for material handling plastic pallets and so much more. No matter your needs, we approach them with the experience, knowledge and resources needed to get the job done. 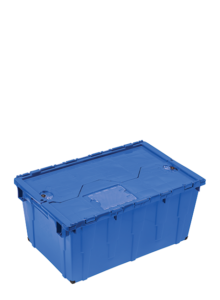 Let us be your go-to provider of plastic shipping pallets, bottled water racks and the many other products needed to make your company as efficient and sustainable as possible. 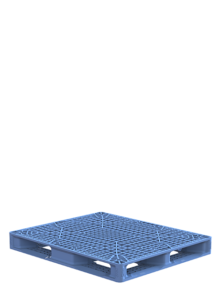 Call or email to get to the next level with Polymer Solutions Hygienic Plastic Pallet Performance Line.